A social worker encourages the vocal talents of a young offender. The remarkable opening of (director/writer) Michael Caton-Jones and Nick Moorcroft’s Urban Hymn seamlessly blends constructed drama with captured footage of the 2011 London riots, flawlessly editing its hard knock leads, Jamie (Letitia Wright) and Leanne (Isabella Laughland), into the real-life melee of looting, violence and sirens. For the uninitiated, the London riots of 2011 were a senseless commotion wherein (initially peaceful) mass protests against social injustice turned fatally sour. In an irony not lost by Urban Hymn, it was the protestors’ own communities (the poorer areas of the capital) which bore the brunt of the violence, with rioters burning buildings, smashing things up, but also making sure, in the meantime, to ransack the high street Currys for plasma screen tellys and nice phones. Ostensibly ignited by the police execution of a known gangster, the events polarised opinion: one side thought the rioters nothing more than opportunistic thugs, while others believed that the riots were an inevitable, even justifiable, reaction to police brutality and class discrimination. The riots consolidated prejudices on either side: Broken Britain, indeed. Aside from giving the narrative a ripped from the headlines immediacy, the technical virtuosity of Urban Hymn's opening also serves to introduce Jamie and Leanne’s context, as we see them lug about their ill-gotten luxury goods and brag about their haul to a rolling, recently liberated, video camera. These two girls are on the wrong side of the law, living for the moment as the future is doomed: and there are kids like this in every city. We cut to the care home where both girls live; it’s tough going, with kids banging each other out over control of the television remote and the social workers copping a flying fist, too. Enter Kate (Shirley Henderson), a new care worker who is full of hope and ideals, and who overhears Jamie singing in her room one afternoon. You’ve heard it here first, Letitia Wright is going to be a star: everything about her is incredible, from her performance, which is equal part braggadocio and desperate vulnerability, to her astonishing voice, which reaches a place beyond living in care, lifting Jamie above a life of petty crime and deprivation. No wonder Kate takes a shine to her and encourages Jamie’s talent by asking her to join the community choir. Henderson’s almost painful fragility is put to effective use here as she wanders the corridors of the home with wide eyes and pursed lips, her bruised naivety a binary opposition to bff Leanne’s street honed hostility. Laughland is also thrillingly good as the pugnacious Leanne, the film’s ostensible antagonist who is apparently jealous of Jamie’s potential, but is in all actuality perilously afraid of being abandoned. Laughland makes it clear that her character’s sullen antagonism is another form of armour, a defence against the manifest disappointments which her own life has dealt her. And so, Jamie is torn between a future that is promising, and a past that is difficult to escape (especially when Chekov’s video camera shows up again…), between Jamie’s loyalty to Leanne (a crack addicted yob, yes, but a crack addicted yob who has stuck by Jamie through thick and thin), and the patient expectations of Kate. At times, Urban Hymn can be a little on the nose with this juxtaposition: Caton-Jones clumsily cross cuts between Jamie’s mad mc skills and the celestial harmonies of the choir, from the girls shoplifting some fags and booze to Kate’s warmly lit dinner party. Furthermore, the film perhaps over eggs its pathos by giving Kate a child who was murdered some time ago in a stabbing, a backstory which seems superfluous as it (unintentionally, I’m sure) detracts from Jamie’s redemption by raising the stakes for her mentor. The simple dynamics of Jamie and Leanne’s bond, the potential futility of their circumstances, is drama enough, with the moral paradigms exemplified in the aftermath of the London riots already providing the film with an insistent thematic substance (Kate doesn’t need to have known tragedy to want to help these kids). 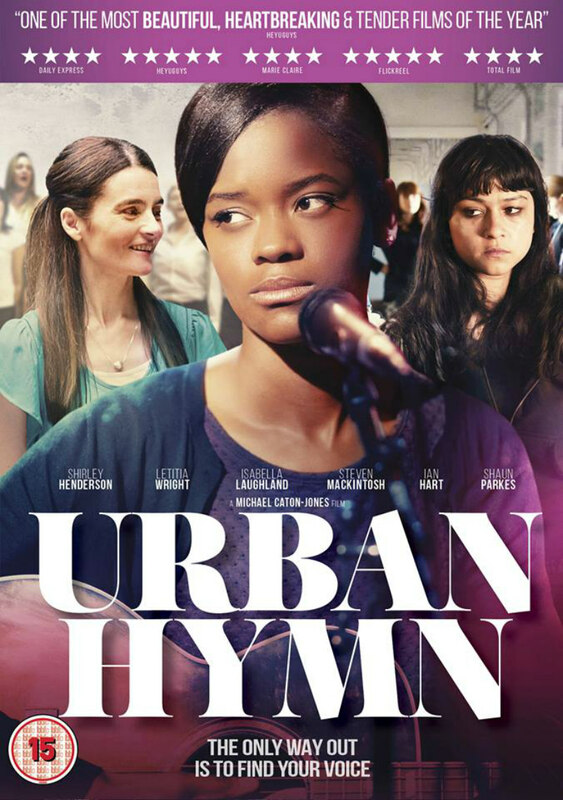 The narrative scope of Urban Hymn is impressive though, with the screenplay not shying away from detailing the consequences of Jamie’s rash actions (Act 2 is essentially a female SCUM), but also realising the soaring potential of music and creativity, the sense of self-worth and powerful joy that Jamie discovers when she shares her gifts and becomes a part of something bigger and more meaningful than her hand to mouth, circumscribed existence. Good for Jamie, we think, perhaps even pretending that there’s something in our eyes, as we witness the transcendental finale of Urban Hymn. But what of the desperate kids with no discernible talents, who cannot even read and whose own sense of esteem comes from getting the first punch in? Urban Hymn harmonises with Jamie, but should also remind us to save a little prayer for the forgotten Leannes of this world. 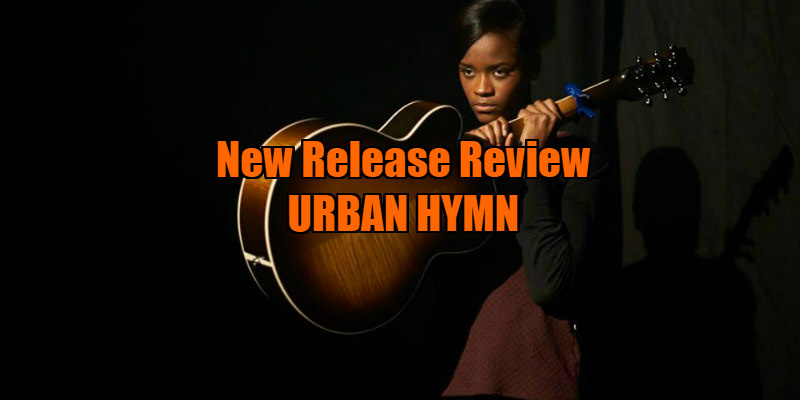 Urban Hymn is on VOD now.